A greenhouse is a great asset to any vegetable plot, enabling gardeners to make the most of the sun. Even the smallest, unheated structure will allow gardeners to extend the seasons and produce good crops of a wide range of vegetables. A productive greenhouse can be in use for most of the year. Heated greenhouses allow for maximum, year-round use but are rarely cost effective. 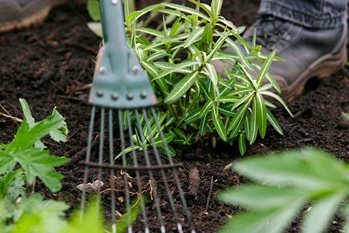 When growing in greenhouse borders, reduce the build-up of soil borne diseases by digging out the soil every three to five years and replacing it with bought-in top soil or good garden loam. Grafted plants may help where soil problems are suspected (aubergines and tomatoes are now available). Large pots and growbags are an alternative where soil is suspect. Cover soil with plastic sheeting, ideally white, and place pots or bags on this. Potting media including growbags can be re-used at least once for different crops if no diseases are present. Diseases to watch out for include damping off, grey mould and powdery mildew. Commons pests under glass include glasshouse red spider mite, glasshouse whitefly and glasshouse leafhoppers.